Sony’s PlayStation 4.5 Is Rumored To Be Twice As Fast As The Original – What Could We Expect? When rumors of Sony’s PlayStation ‘4.5’ first hit the Web, it was easy to brush off as just a rumor. But since then, that rumor has heated up, with some of the best information we’ve had to date coming out just now. Word is that the PS 4.5 will utilize AMD’s upcoming Polaris GPU architecture. I take a look at what this could mean for PlayStation fans, while littering in a few personal requests. When rumors hit the Web a couple of months ago about Sony wanting to release a new iteration of its PlayStation 4 console, I couldn’t believe it. I mean – I couldn’t. It sounded too outlandish, especially since console makers have historically tried to stretch out life cycles as much as possible. The last time I can recall anything remotely like this happening is when Nintendo released a memory expansion pack for its N64, which happened to be required to play Donkey Kong 64, Perfect Dark, and The Legend of Zelda: Majora’s Mask. But upgrading the RAM is one thing; making the console twice as fast is another. The PS 4.5 rumors haven’t slowed down since the first one hit the Web, so it’s increasingly beginning to look like Sony will in fact do this. That belief is reinforced with a huge rumor let loose by the gents over at Giant Bomb. In gist, the console could be twice as fast, CPU and GPU-wise. That’s such a stark difference that the console should feel more like a PS 5 than a 4.5, but as the rumor notes, Sony doesn’t want to alienate those that expected more than a couple of years’ worth of life out of their PS 4 purchase. A good move. Where on Earth would this leave the Xbox One? At least from a performance standpoint, in the dust. The current PlayStation 4 is already more powerful than the Xbox One, so if the 4.5 is going to become a reality, it might actually force Microsoft’s hand – even though it claims to have no interest in iterative console releases. But, consider this: The 4.5 – if the rumor delivers – will provide 2,304 GPU cores, versus the Xbox One’s 768. The Xbox One GPU’s clock speed beats the PS 4 (853 MHz vs. 800MHz), but that will mean nothing considering the PS 4.5 will have triple the number of GPU cores. While many of us are hoping that the PS 4.5 becomes a reality, Microsoft is probably wishing just as hard that it doesn’t. When the first PS 4.5 rumor hit the Web, it was suggested that it would target 4K gaming. For a number of reasons – the main one, performance – it can’t happen. If 4K is somehow Sony’s focus, it better be due to something totally unexpected, because when a $500 graphics card (GeForce GTX 980) can’t handle 4K gaming at high detail (outside of MOBAs, perhaps), how is an integrated chip going to manage it? Over the past month or so, it seems like most are beginning to agree that it’s VR that’s the ultimate focus here, and that makes a ton of sense – VR requires a lot of horsepower behind it. 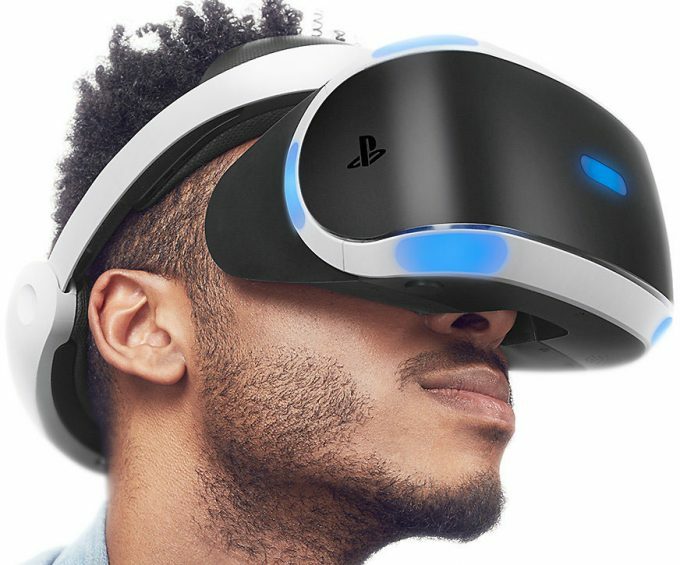 I have not personally used PS VR, but I do have friends that have, and I’ve been told that the graphics are just not there. While performance is of paramount importance, lacking graphics detail could stifle the experience. I am stoked for VR to become a lot more common, but I have zero interest in PS VR. What I do have great interest in, though, is 60 FPS gaming on the PS 4.5. If the hardware is more than twice as fast, shouldn’t that mean that older titles will enjoy a speed boost? Yup. Well, maybe. That depends on whether or not a game’s developer feels like putting the effort forth for an update (if it’s indeed a minor issue; we’re not sure). The PS 4.5 codename, according to Giant Bomb, is “NEO”, and as of this October, Sony will begin forcing developers to support both the original PS 4, and the 4.5’s “NEO Mode”. 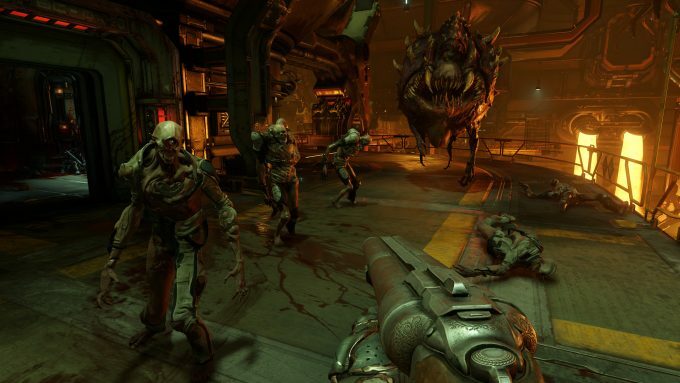 That doesn’t mean that all forthcoming games need to take advantage of the updated hardware; it means that those without the new console are not going to be left in the dark. Sony is ensuring that every single forthcoming PS 4 title will run on the original unit, so developers are not going to get off easy – lots of optimizations will still need to be made. I feel that while Sony is right to focus on VR with this new console, I hope it also focuses on delivering games at 1080/60 as well, and encouraging developers to update their older titles. Destiny is a perfect example of a game that should be updated for 60 FPS, even at 720p. That game is still played by hundreds of thousands of people on the PS 4, and 60 FPS would make an awesome game even better. 4K/30, to me, would not be ideal, and thus I believe it’d be a joke for Sony to put any thought behind it. I’d definitely get behind a UI update that supports 4K, but for gaming? Leave that for high-end PCs where it belongs. 4K is still 16:9, so there’s no advantage to the viewing area of a game to warrant what would be a massive performance hit. There’s also the little fact that most people sit a fair distance away from their televisions, so 4K isn’t going to even look that much better than 1080p. That could be the case even if you’re sitting close. I once tested Ivory Tower’s The Crew at 1440p and 4K on equal-sized monitors, and couldn’t notice an obvious difference, outside of some perceived increased crispness. 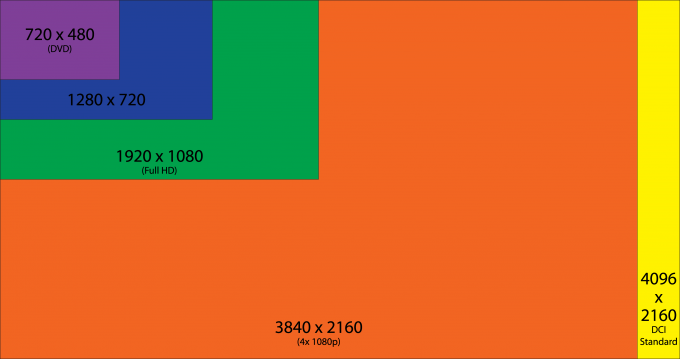 If Sony wants to focus on 4K, I think it should instead focus on ultra-wide, since that can offer some actual benefits. Ultimately, it seems likely that anyone who will end up owning a PlayStation VR kit will want the faster console, but it’s my hope that only some of the focus is directed there. With the PS 4.5, we should be guaranteed 1080p gaming at 60 FPS – for every game. If Destiny can run at 720/30 right now, it stands to reason that a console that’s more than twice as fast could push the game to at least 720/60. The problem with all of this, of course, is that most people are not going to upgrade just for the sake of better framerates. Thus, we’ll likely see developers focus more on bumping detail levels up, and sticking to 1080/30. What would be amazing is if you had a choice between running at game at 720/60 or 1080/30; I know which one I’d be choosing. One of the biggest questions of the moment is how much the PlayStation 4.5 will cost. Based on the current rumors, it looks like all of the performance boosting is going to be done through AMD’s updated chip, so based on that alone, the console shouldn’t demand much of a premium at all, unless of course there’s more to this we don’t know about. Because of the console’s much-improved performance, it does make me wonder if Sony will release a special version of the console that will include a solid-state drive, as the default 5400 RPM drive is a bit lacking with beefier games. At the very least, I also hope Sony will retain the openness of the PS 4.5, allowing users to easily upgrade their own drive, quickly and easily. Whatever the PlayStation 4.5 ends up becoming – or doesn’t end up becoming – one thing can be said for sure: it’s proven to be a lot of fun to speculate over.